Here's something in moto-world that is as close as it gets to a no-brainer absolute must-have for high speed, enduro style riding in varied settings: the excellent Scott 89Xi Desert Goggle. Though years of bitter experience have made us wary of making any sweeping recommendation for items that actually touch any part of a rider's bod we are prepared to forgo our journalistic restraint and recommend these puppies as highly as we can. 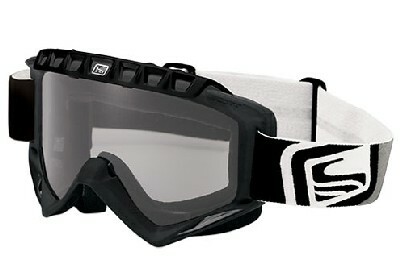 The 89Xi Desert Goggles feature MDD face foam (plush! 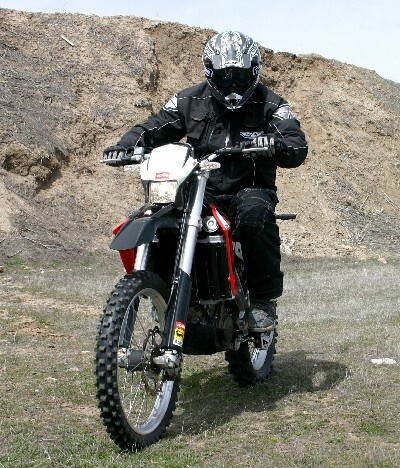 ), a double buckle strap adjustment system, the usual silicone impregnated strap, Xi ventilation (which really keeps dust out of the inside of the goggle) and, best of all, the very effective light-sensitive anti fog Lexan lens. The lens is a very light gray until it is exposed to UV when it darkens considerably (see photo at left). Though the light sensitive tint loses its effectiveness after a few months of use, replacement lenses are cheap (around $10) and easy to install (they snap right out and in). A spare lens is included with each set of goggles right in the box. Aside from being light-sensitive, comfy and adaptable to a wide range of popular MX helmets, the other outstanding feature of the Desert Goggle is the Xi ventilation system which really does a great job keeping dirt and dust out of the inside of the goggles without compromising ventilation. I recently had a chance to involuntarily test the effectiveness of this feature while following a convoy of 7 pickup trucks down a narrow desert road at 60+ mph speeds. It works! I've gone through two sets of 89Xi Desert Goggles in three years and may thousands of miles in all conditions and they are definitely my favorites. The light sensitive tint is adaptable to nearly every daytime riding condition and I have even ridden with them through the night. Though they are noticeably darker than clear goggles once the sun goes down they are not so much so that I worry about bringing along a spare pair of clear lenses for night riding.